This post is so late! Forgive me, coming into 2016 was not easy - it was quite the rush mixed in with even a little bit of stress. This week, things have finally calmed down - or rather - I've managed to calm things down! I wanted to get a favorites post out there, and even though I most likely will not a 2015 favorites post, I wanted to get a December 2015 favorites post out there! These products are too good not to mention. Urban Decay Naked Smokey Palette - I think this either a hit or miss for most beauty lovers. 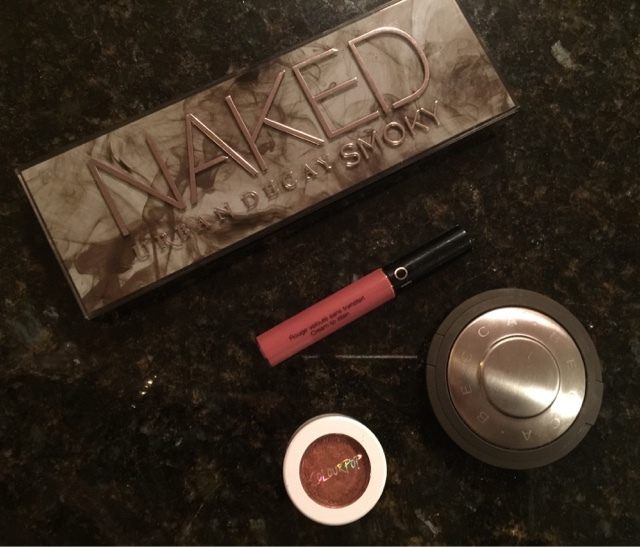 at 54$ it can be a little pricey if you're not as devoted to beauty as I am - but I love a good smokey eye. I also love a great neutral eye look and I feel as though this palette offers both; you're able to create a really deep look but you can also create something quite simply and light. Sephora Cream Lip Stain in 13 Marvelous Mauve - I was searching for a gorgeous mauvey-pink shade with undertones of brown and I found it at the Sephora brand. Honestly, the Sephora collection brand gets a bad rap for no reason, there's a few gems in there that are less expensive, but just as good as the big ones such as Kat Von D, Too Faced, etc. Becca x Jaclyn Hill Shimmering Skin Perfector in Champagne Pop - I love this highlighter! I seriously think that Becca should consider making this permanent - or at least something similar to this. It may look a little dark in the pan but it comes off as this beautiful true golden shimmer. I'm not a big fan of pink highlights on my face so I often reach for this or Becca's other famous highlight in Opal. I have yet to try the liquid formula though! Colourpop Eyeshadow Pot in Game Face - Apparently this is Kylie Jenner's favorite Colourpop shadow - did not know that when I purchased it. It just looked like a gorgeous but very intense metallic copper shadow, which is exactly what it is. 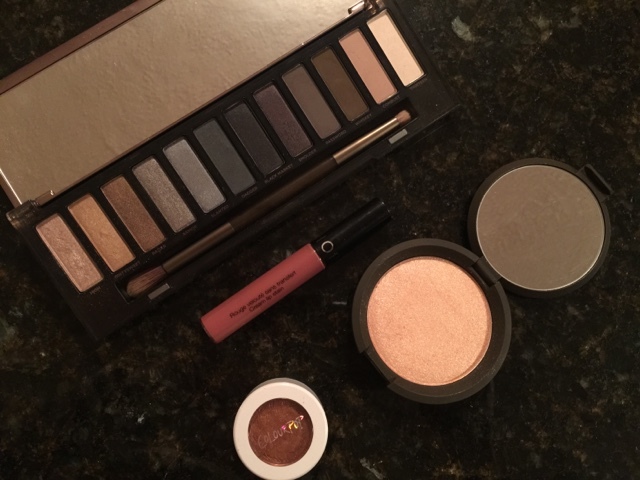 This is a little intimidating to wear on it's own, but its perfect for a brown smokey eye - I love wearing this in the lid to get that pop of coppery metallic goodness. Oh that palette looks so pretty! Will have to check it out!